WASHINGTON (CNS) — The military operation to liberate the Iraqi city of Mosul from the Islamic State group is not the only solution needed to get life back to normal, said Iraqi Archbishop Bashar Warda of Irbil. “Where is the possibility of creating, of building bridges of reconciliation among the divided community?” he asked. 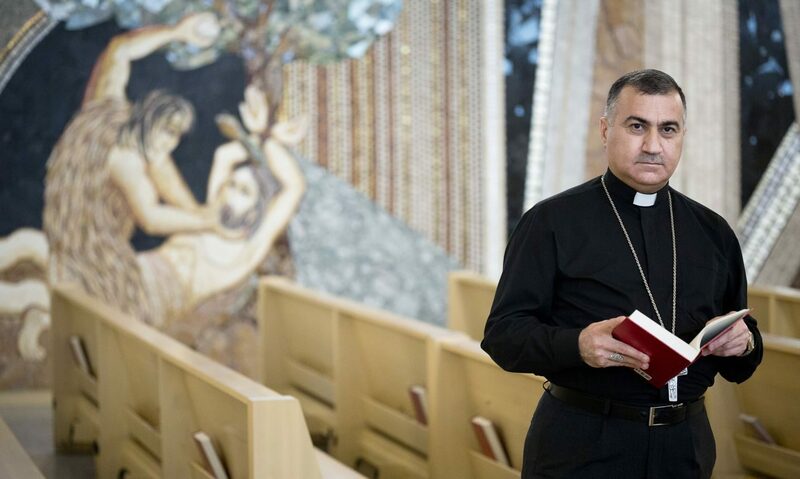 Archbishop Warda spoke to Catholic News Service Oct. 20, the fourth day of the U.S.-backed operation in which Iraqi and Kurdish forces fought to free Mosul, Iraq’s second-largest city, from Islamic State. He said troops would not find any Christians in and around Mosul, because they fled in 2014, when Islamic State militants gave them a choice to convert to Islam, pay the Islamic jizya tax, or be killed. Many of those Christians fled to Irbil, where the church has been caring for them. Just within the city, the Irbil Archdiocese is providing housing to more than 10,000 internally displaced families, but many more live in trailers or open buildings. The Christians from the region are the original owners of the land, he said. Many have said their neighbors turned against them as Islamic State approached. “We have lived with Islam for 1,400 years. There was a trust in us, and we have to build on this trust — initiatives for the peaceful future,” he told CNS. “We need the outside world to help us” start such initiatives, but they must come from within, because people are suspicious of outsiders. “Everyone has given something valuable and painful to remain Christian,” he said. He also thanked American Catholics for their prayers and material help during the crisis, noting that it “made a difference in the life of brothers and sisters in Iraq.” He asked for their continued support and for them to be a voice for Christians in the Middle East.